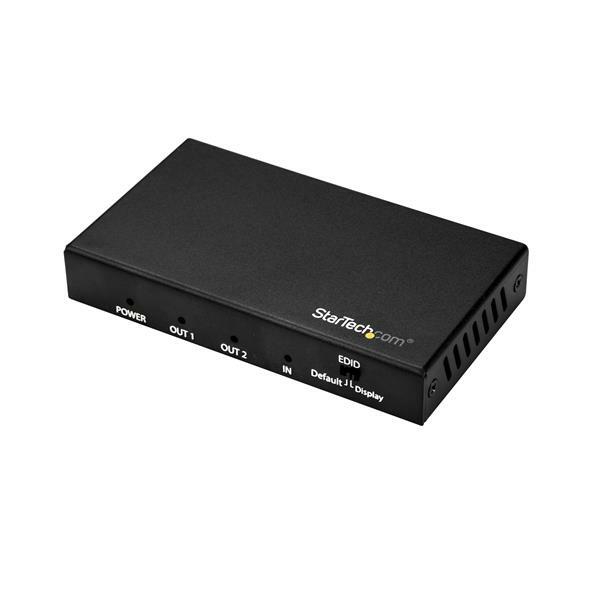 This 4K HDMI splitter lets you connect your HDMI video source to two HDMI displays, with support for Ultra HD resolutions and HDR (High Dynamic Range) as well as 7.1 surround sound audio. Not all 4K splitters are created equal. While some HDMI 1.4 splitters can achieve 4K resolutions, they only work at a 30Hz refresh rate. Other HDMI 1.4 splitters are marketed as 4K at 60Hz, but their color data is reduced to a lower 4:2:0 chroma subsampling. This drastically reduces color quality in order to achieve 4K at 60Hz resolution, even with limited HDMI 1.4 bitrate capabilities. 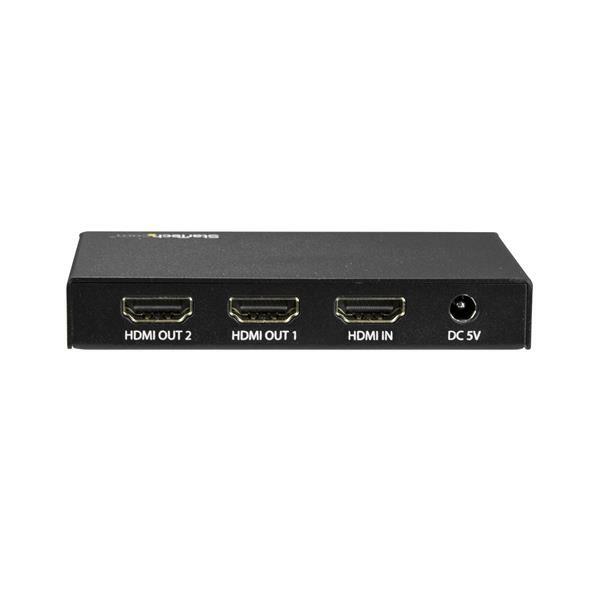 The HDMI 2.0 splitter supports HDCP 2.2 and is backward compatible with 4K 30Hz and 1080p displays. This ensures that it will work with lower resolution displays such as TVs or projectors around your site or in your digital signage application. 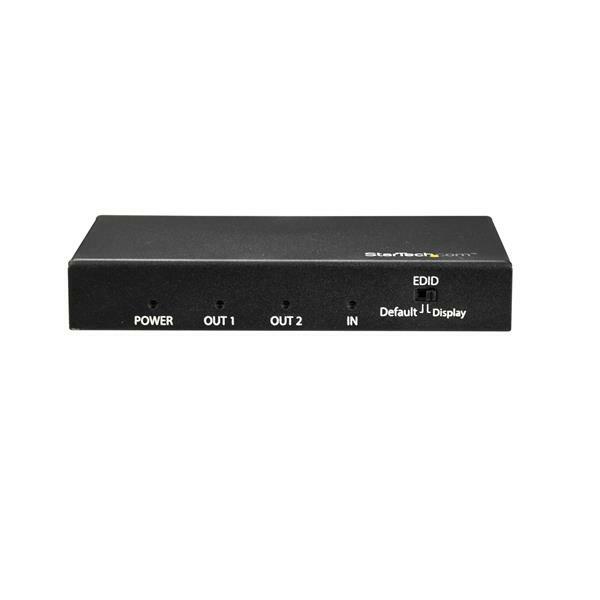 For hassle-free setup, the 4K HDMI splitter offers easy plug-and-play installation with no additional software or drivers required. 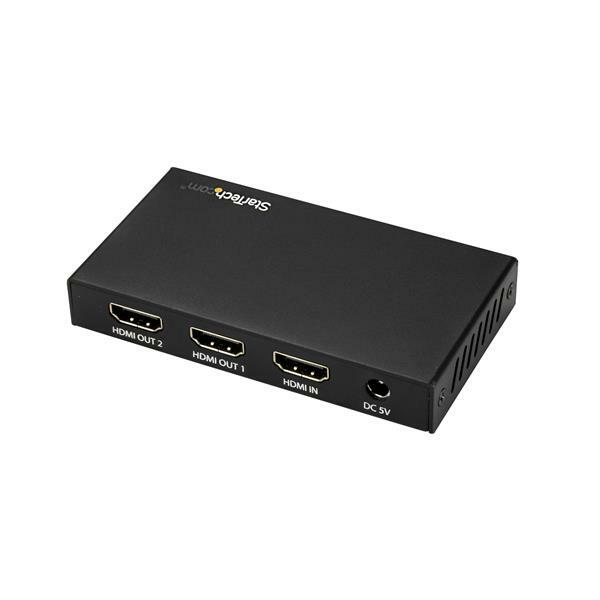 The HDMI 2.0 splitter passes EDID between your video source and the display attached to port 1, ensuring native settings such as resolution and refresh rate are configured automatically. 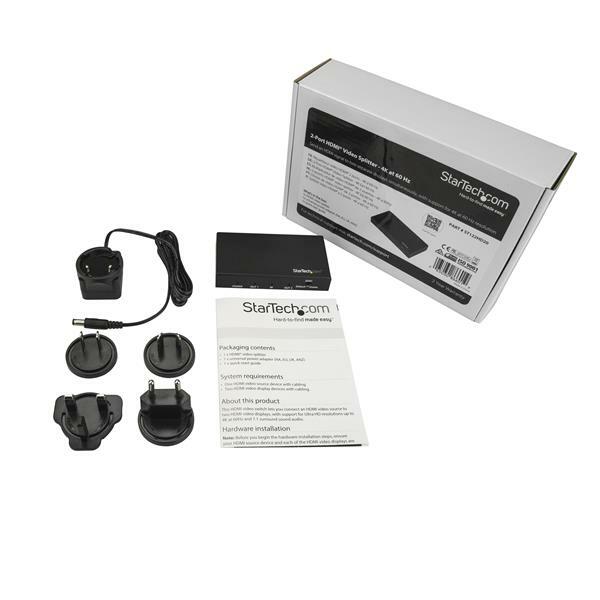 The ST122HD20 is backed by a 2-year StarTech.com warranty and free lifetime technical support.